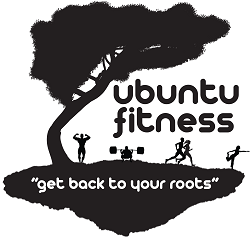 We share information and resources from around the web and scientific community (ubuntu) to help readers attain fitness, thus we are Ubuntu Fitness. Ubuntu Fitness Get back to your roots. Make your own nut butter! Mix and match your favorite nuts + seeds with easy seasonings like cinnamon, cacao or salt. A grain free and gluten free banana pudding recipe. A surprisingly sweet smoothie at 24g of protein with beet juice concentrate, Greek yogurt, almond butter and berries. Going to school to become an RD is really geared for medical settings i.e. learning how to feed sick patients in acute care. People wrongfully assume we should know all things about optimal diets. Nutrition Experts I: Who is considered an expert? Not all dietitians are nutrition experts, not all nutrition experts are dietitians! In this series of posts, I will discuss my thoughts on nutrition expertise, the dietitian professional governing body, and my critique of who can give advice in the current wellness industry. Ubuntu Fitness believes there is no one answer when it comes to fitness and nutrition. We dive into scientific studies, personal experiments and lay articles to challenge commonly held notions that may slow people from making progress in becoming as healthy and fit as they can be. Have an interesting article or idea? Tweet us!